We have a team of highly qualified mechanics who are expertly trained to meet all your servicing needs. With years of experience they maintain a very high and trustworthy reputation. 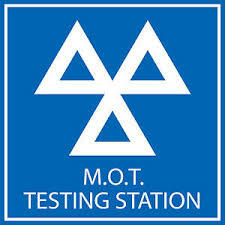 MOTs and servicing form part of the essential care for your bike, as well as keeping you safe and legal on the roads. Call us now on 01507 602900 to book your bike in with us. From time to time knocks and bumps can happen and can spoil the look of a bike. We can get your bike repaired quickly and hassle free! Minor imbalances can cause vibrations and spoil a good bike ride. Also, after fitting a new tyre, it needs balancing for a smooth ride. There's nothing worse than jumping on your bike for a ride to find it has a puncture! With increasing number of potholes and other debris on the roads, this is a common occurrence. Come to us and we'll have you back on the road in no time! Alarms, immobilisers and datatags are all fitted by us. Did you know we can also supply these accessories? Call us now and find out more! Whether its a stone chip or a scratch, we'll take a look and have your bike looking great before you know it. All services are offered at competitive prices and low labour costs. If you can't get your machine to us we can arrange collection and delivery. Estimates can be given for work or crash damage. We also offer a breakdown recovery service. For more information please call us.